Winching the rock up the creek bank, using rockbars to guide it. 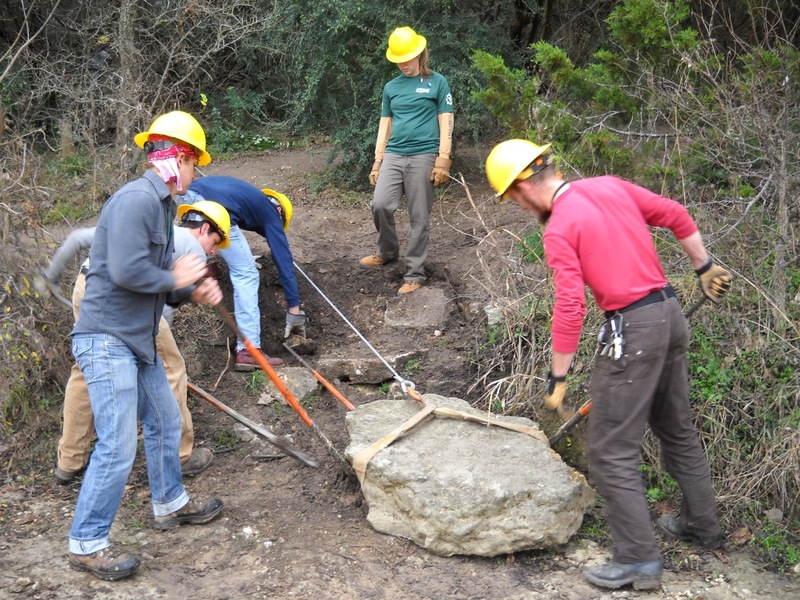 Today the Barton Creek Trail Corps (Allen, Brian, Joe, Kristin and Sara) began their second week of work, working with Field Coordinator Paul S. on building a new set of steps for better access to the Campbell’s Hole area from Homedale Access Trail. 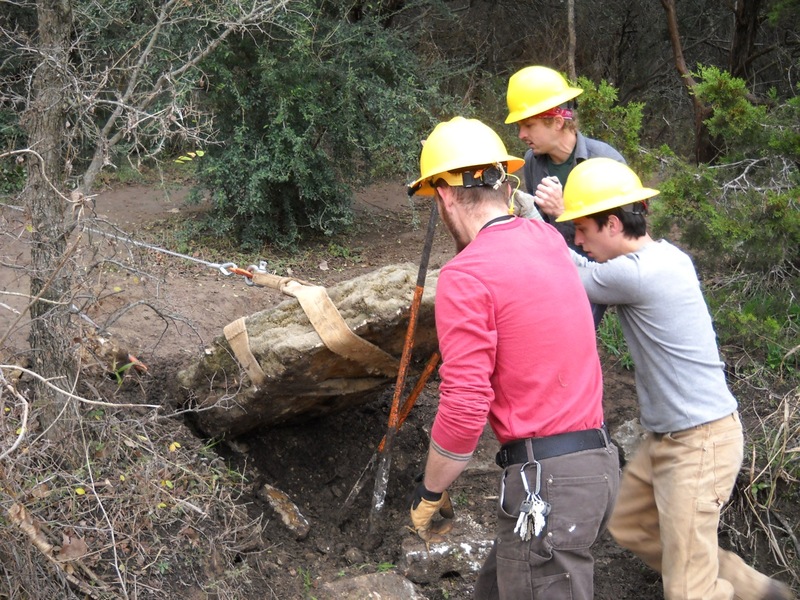 First up was moving some rock out of the way, then setting up the winch and cable to move three or more 500-600 pound rocks up the side of the creek bank. The crew hauled several when we visited this morning.